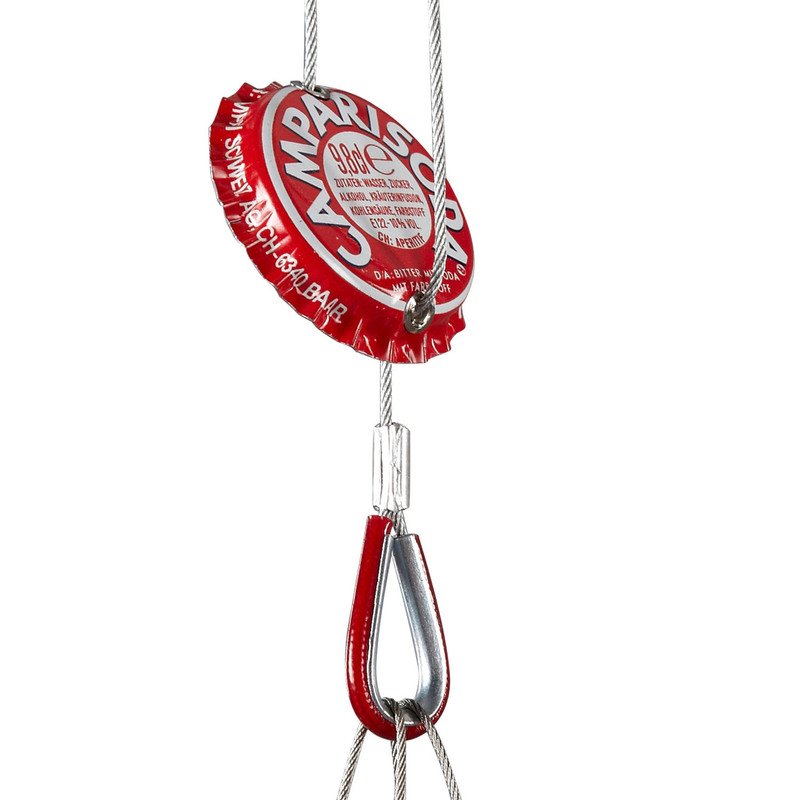 Swing it Baby and have some fun! 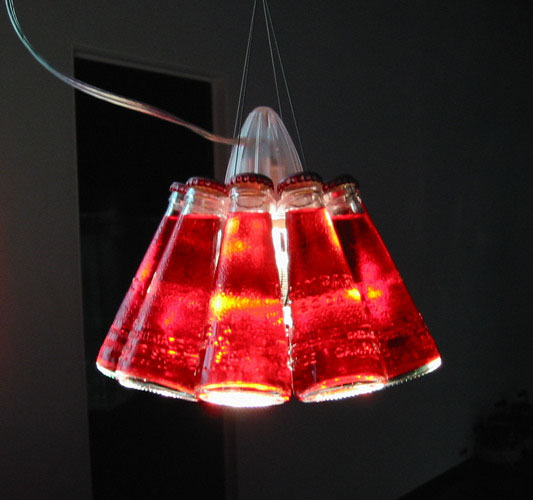 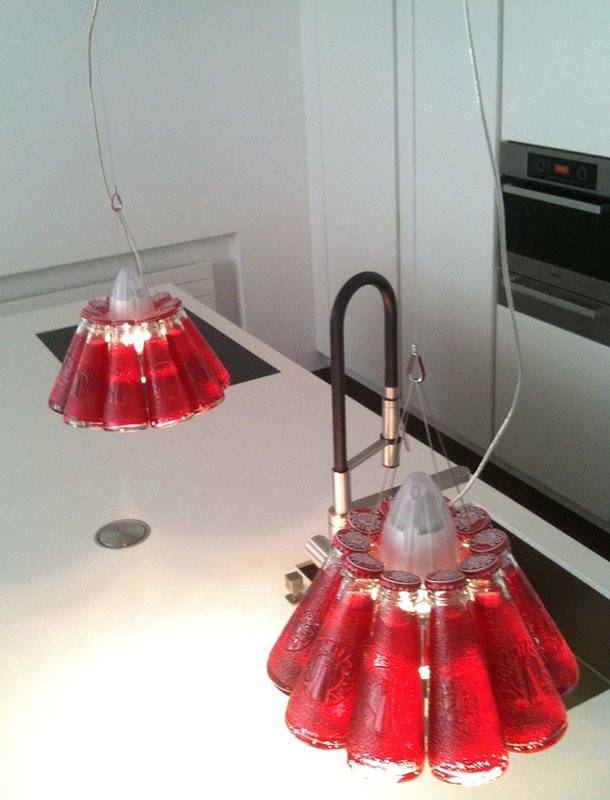 The Campari lamp was designed by Raffaele Celentano for Ingo Maurer in Germany. 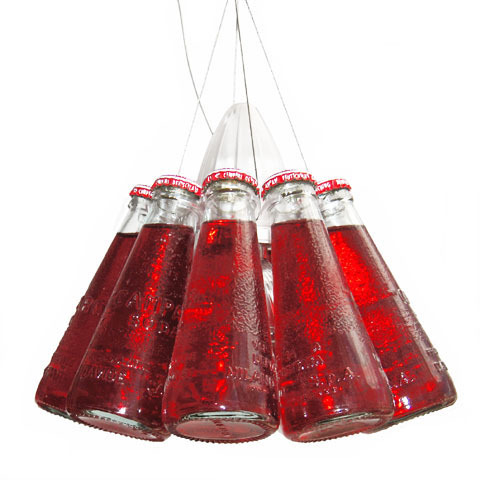 Designer Raffaele Celentano took original Italian Campari glass bottles, unaltered and with Campari inside, and re-purposed them into a sculptural pedant lamp with a height-adjustable cable and individually detachable components. 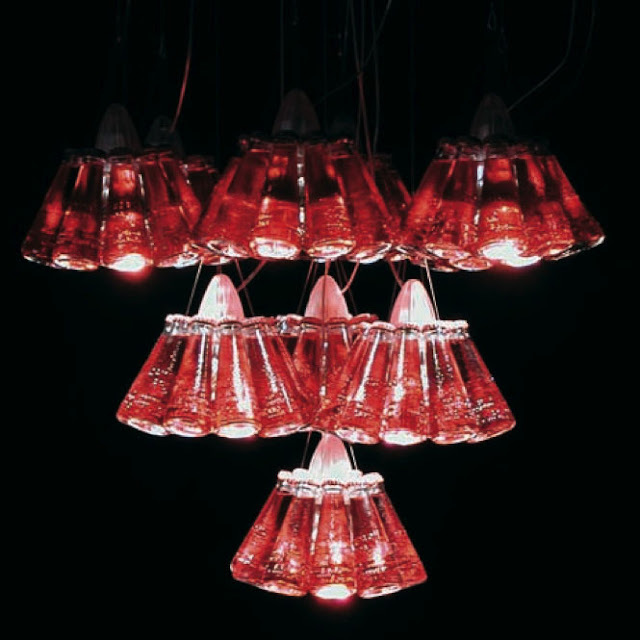 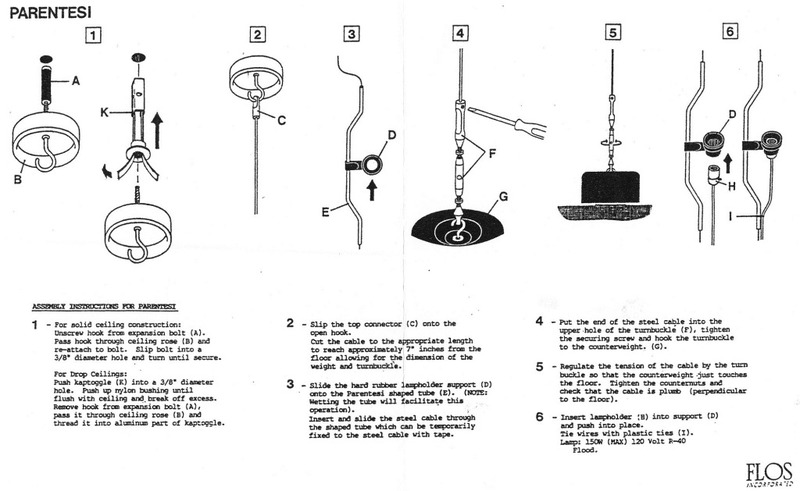 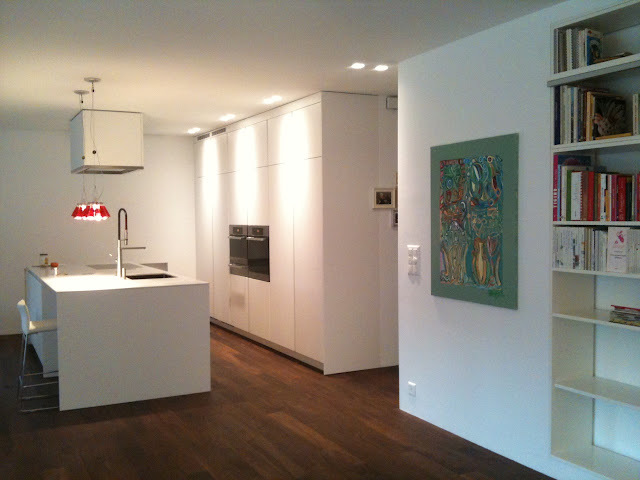 Part of the Ingo Maurer modern lighting classics. 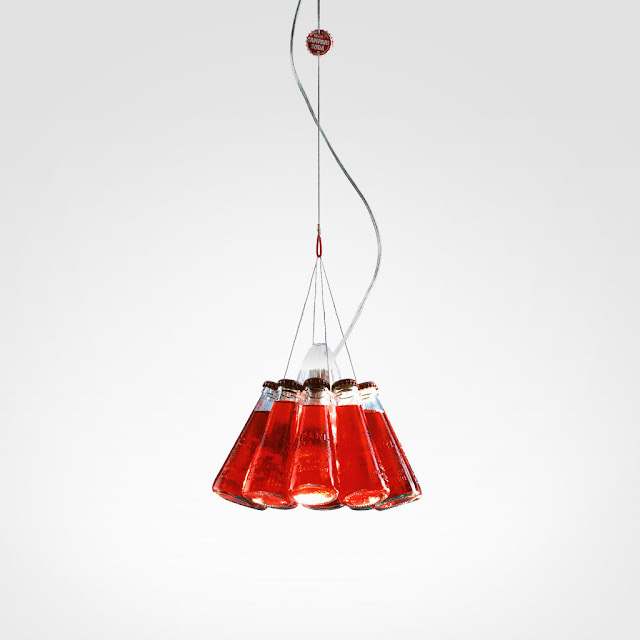 The Campari lamp is a stunning unique modern piece from Ingo Maurer! 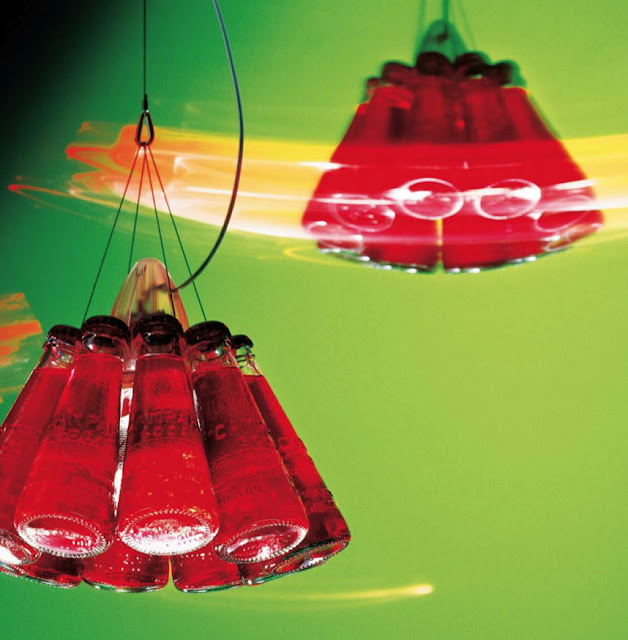 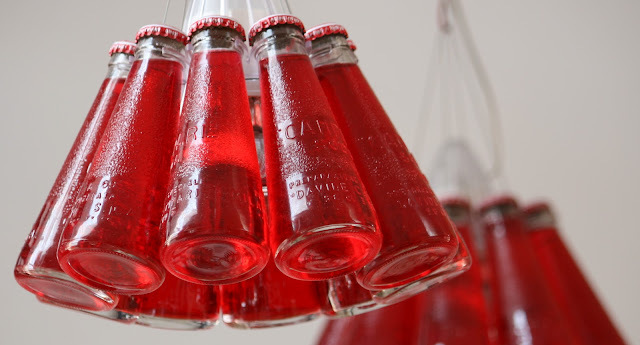 Ingo Maurer's Campari Light by Raffaele Celentano takes a design classic - an original Italian Campari glass bottle in unaltered condition with original Campari inside - and turns it into a versatile and beautiful light. 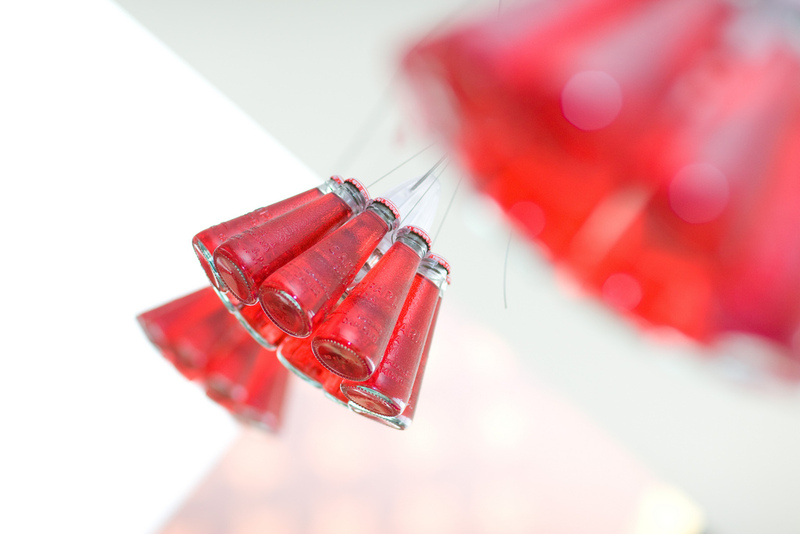 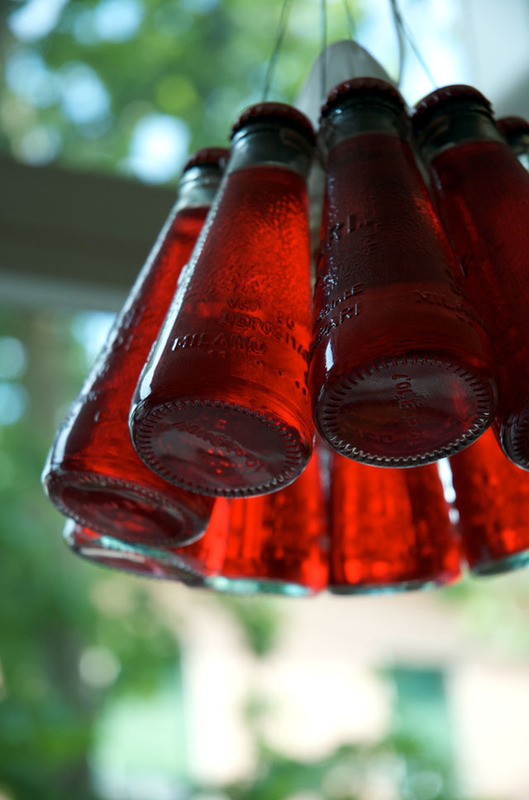 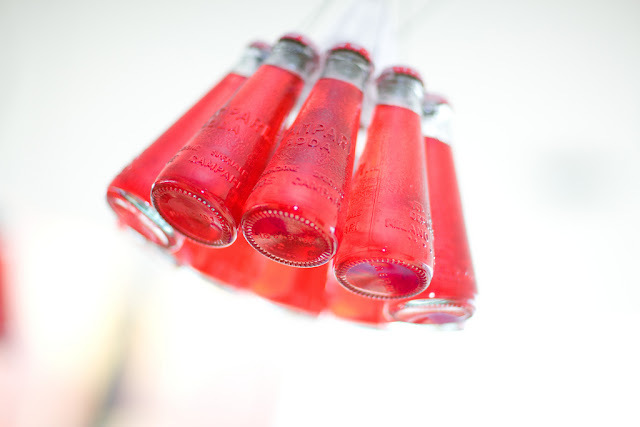 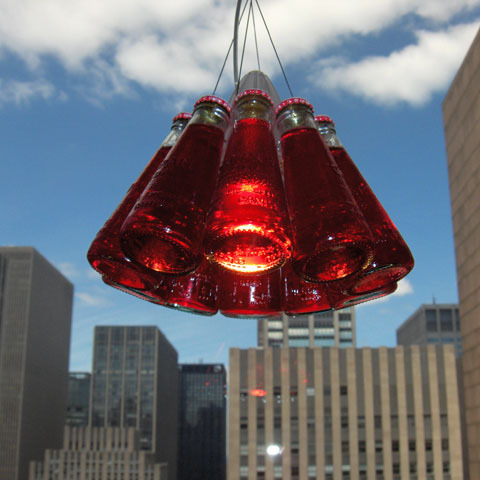 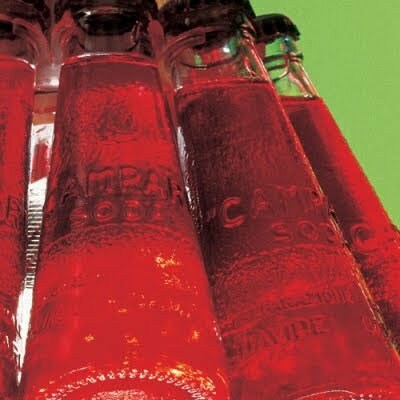 With the Campari lamp, you will only have to be able to resist the urge to drink the Italian Campari bottles! Ingo Maurer's Campari Lamp is a staff pick and a customer favorite. 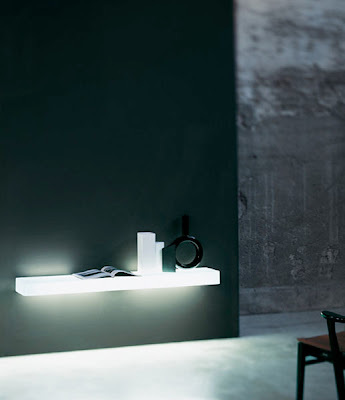 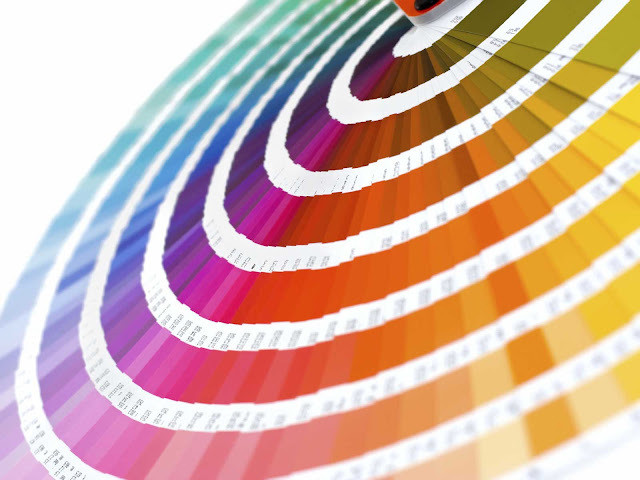 Image Credits: Stardust.com, Ingo Maurer, Marco Mozzo, moderndesign.org, Vineyard Ventures, Moos Sonnevelt. 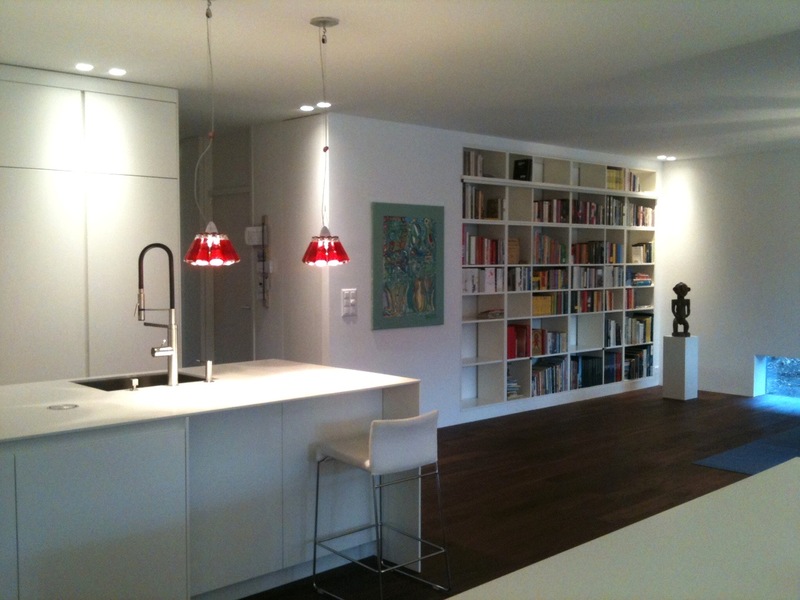 Images below by La Casa Degli Antuche.